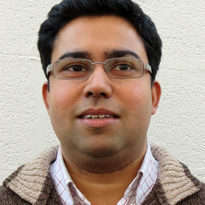 Suraje Dessai has been Professor of Climate Change Adaptation at the Sustainability Research Institute in the School of Earth and Environment since 2012. His current research and teaching focuses on the management of climate change uncertainties, perception of climate risks and the science-policy interface in climate change impacts, adaptation and vulnerability. Suraje has published 45 peer-reviewed papers in journals such as Science and Global Environmental Change, 9 book chapters and edited two journal special issues. He is the recipient of a European Research Council Starting Grant on Advancing Knowledge Systems to Inform Climate Adaptation Decisions – Project ICAD (2012-2016). Suraje is also currently involved in two large European projects: European Provision Of Regional Impact Assessment on a Seasonal-to-decadal timescale (EUPORIAS) and Bottom-up Climate Adaptation Strategies towards a Sustainable Europe (BASE). Climate change. Is weather event attribution necessary for adaptation funding? Do We Need Better Predictions to Adapt to a Changing Climate?